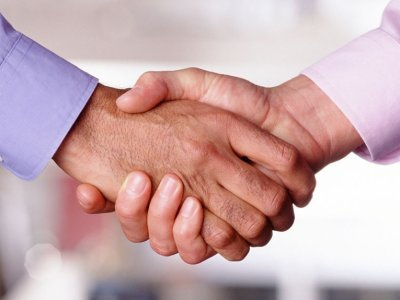 In this difficult economic climate many charities are considering partnerships with commercial companies for the first time. This can be daunting, but partnerships can add great value for charities beyond the obvious injection of finance. Most begin life in fundraising departments, with a focus on income. Often the comms team is brought in after everything is in place: frustrating and far from ideal, but a common experience. These top three Dos and Don’ts will help you make the most of your partnership. Although it may seem like another world, get to know your partner’s products or services. Who are their consumers, what comms activity have they done and what are their plans for the future? Look at their brand, their language, their positioning and their priorities. If you can demonstrate a genuine understanding, you’ll get a lot more buy-in from your partner and value from your joint activity. Your partner knows an association with you will boost customer loyalty; which means your partner’s consumers are likely to be very receptive to your messaging. How can you engage them? Work hard to make the most of this opportunity, beyond what’s in your agreement. If you feel your partner is asking too much of you, bring it up. Remember to frame the conversation in the context of your shared goals – be open, suggest positive solutions and show what you can achieve. Hopefully your fundraising team considered the risks before agreeing the partnership, but there are reputation issues you’ll need to think about. How will your members or donors react to you working together? What if the partnership doesn’t deliver results for you? What will be the impact on you if your partner is hit by negative media coverage? Identify and plan for possible reputation risks. Both PR teams will be working together to an agreed plan, but there will be expectations you’ll need to meet in return for the funding you’ve received. Be careful not to over-promise, particularly in terms of securing media mentions for your partner. It isn’t easy to get commercial brands included in coverage. Your partner will be attentive to the impact of the partnership on their bottom line, but will also want to hear about the difference it’s making to you. Make sure they know what their funding, support and involvement is doing. Ensure your beneficiaries, supporters and stakeholders understand the benefits the partnership is bringing; this can help to secure further partnerships in the future. Ultimately, having mutual objectives are what makes for a truly fruitful partnership, but they are not enough on their own. A good communications campaign will really help you punch above your weight. Much of how the success of the partnership is perceived will be down to how you tell the story and explain its impact. It’s important to communicate your partnership both internally and externally; to inspire your team and take them on the journey with you, so supporters, stakeholders and customers know exactly what you’ve achieved together. Louise Morriss runs Amazon, an agency specialising in PR, communications and engagement in the voluntary sector. Louise leads an award-winning team that creates and delivers campaigns for charities of all shapes and sizes. Join in the discussion on www.amazonprblog.wordpress.com.